Arum purpureospathum – Crete. 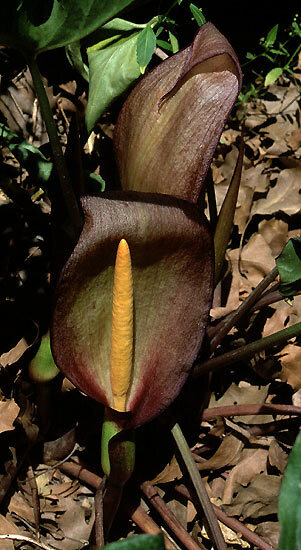 This species from Crete has a dark purple spathe and spadix. Like most other Arums the leaves emerge in the fall, it bloom in spring and has fruit with orange red berries.